This is a online training batch taught by experts working in Semiconductor Industry. 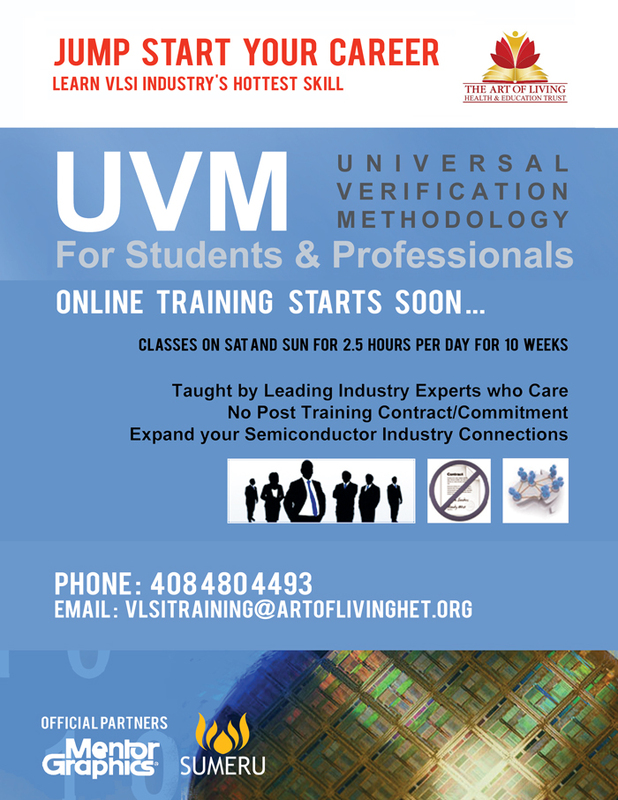 Course starts with System Verilog and covers advanced level UVM. Course schedule is for 2.5 hours on Sat and Sun for 7 weeks. Graduates and working professionals can benefit from this training. Next batch starting on July 11th, 2015! Course schedule is for 2.5 hours on Sat and Sun for 7 weeks. Graduates and working professionals can benefit from this training. I think system Verilog tutorials is the best option for the learning quickly.